Man found guilty of mixing color in jalebi after 22 years, A shopkeeper was sentenced to one-year imprisonment on Tuesday after he was found guilty of mixing synthetic colour in jalebi 22 years ago. Food security team had taken samples of jalebi from his shop in Lakhimpur Kheri on December 26, 1995. He was found him guilty of mixing synthetic colour in the sweet which were not suitable for human consumption. The court of the additional judicial magistrate in Mohammadi also imposed a fine of Rs 3,000 on the shopkeeper. His imprisonment will be extended by another 15 days if he failed to pay the fine. Fodder scam: Lalu Prasad sentencing today, The quantum of sentence against Rashtriya Janata Dal (RJD) chief Lalu Prasad Yadav and 15 others will be pronounced by a special CBI court on Thursday in connection with the Rs 950 crore fodder scam case. The former Bihar chief minister was convicted in the case on December 23, 2017 and sent to Birsa Munda prison in Ranchi. The sentencing, which was to take place on Wednesday, was deferred as a mark of respect to two members of the legal fraternity who had recently passed away. On Wednesday, RJD leaders Tejashwi Yadav, Raghuvansh Singh, Shivanand Tiwari and Congress leader Manish Tiwari were held in contempt of court for their statements to the media following Lalu’s conviction. The court has sought their responses by January 23. O. Panneerselvam named Leader of Assembly, Tamil Nadu Deputy Chief Minister O. Panneerselvam was on Thursday named the Leader of the State Legislative Assembly, the post he had held when Jayalalithaa was the Chief Minister, and for a brief period after her death. 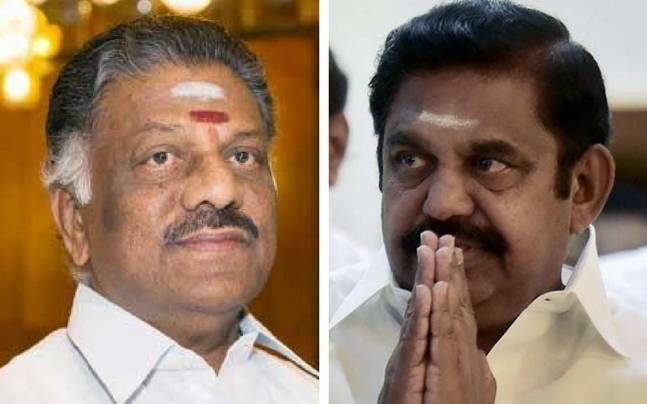 The decision to make Mr. Panneerselvam as the Leader of the House comes ahead of the Assembly session scheduled to commence on January 8 and after about four months since the both factions of AIADMK buried their differences to come together. The forthcoming Assembly session is the first since the coming together of both factions of AIADMK and after the by-poll for Dr. Radhakrishnan Nagar in which Sasikala’s nephew T.T.V. Dhinakaran secures a massive win. Traffic Ramaswamy moves Madras HC opposing TN govt’s move to acquire Jayalalithaa’s Poes Garden residence, A day after the Tamil Nadu government set four months deadline to acquire late Tamil Nadu chief minister J Jayalalithaa’s residence, Veda Nilayam, social activist Traffic KR Ramaswamy has moved the Madras high court seeking to stop the acquisition.The octogenarian activist, who filed a public interest litigation (PIL) on Thursday, wanted the court to restrain the state government from acquiring and converting the Poes Garden residence in Chennai as a memorial using public funds. Pune sees spike in fever cases, doctors blame fluctuating temperature, The city has seen a spike in the number of fever cases last week, and doctors suspect that fluctuations in temperature led to such a large number of cases. 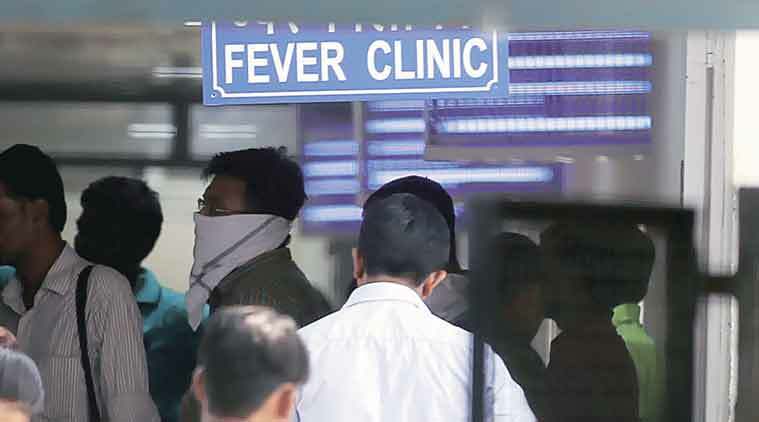 Dr Seemab Shaikh, an ENT surgeon who has a clinic in Camp area, said that at least 25 percent of patients at the out-patient department were suffering from viral fever. “The temperature keeps fluctuating… the mornings are chilly and it’s warm during the day. The body is constantly exposed to these variations and that’s why so many people are down with fever,” Dr Shaikh said, adding that adequate rest and hydration were essential. Fishermen launch their own search operations in the Maldives, Having lost trust in the search operations of the State and Central governments to locate their brethren who went missing after Cyclone Ockhi, 36 Kanniyakumari fishermen have mounted their own search operations in the uninhabited islands of Maldives. They have obtained permission from the island nation’s Foreign Affairs Ministry through the Indian Embassy in the Maldives. Since hundreds of fishermen are still missing despite the searches by the Indian Navy and the Coast Guard, the fishermen were clamoring for searches in the deep sea, i.e., beyond 600 nautical miles. They also urged the Centre to approach the governments of neighboring nations to search for the missing fishermen in the uninhabited islands of these countries, but in vain. Jignesh Mevani-Umar Khalid event denied permission in Mumbai; protesters detained, Massive protests erupted in Mumbai’s Vile Parle area as police denied permission for an event scheduled to be addressed by dalit leader Jignesh Mevani and Delhi’s Jawaharlal Nehru University’s (JNU) student leader Umar Khalid on Thursday. Separately, Pune police today registered an FIR against Mevani and Khalid in Pune’s Vishrambaug Police Station under sections 153(A), 505 and 117 of the Indian Penal Code (IPC), reported ANI. Sharing of Mahadeyi water inevitable: Manohar Parrikar, Stressing on the issue raised last month in his letter to Karnataka BJP chief B S Yeddyurappa, Chief Minister Manohar Parrikar reiterated that sharing of Mahadeyi river water is inevitable with the source of the river in Karnataka. “If someone thinks that water cannot be taken by Karnataka, he is living in a fool’s paradise. He does not understand law. A river which flows through Karnataka, how can you deny water to them… they cannot take the water to some other area. They have to drink it or they have to use it in that area. I have precisely written the same thing,” Parrikar said in a post cabinet briefing. Trump’s message on aid was conveyed 2 weeks back, U.S. President Donald Trump’s New Year tweet. accusing Pakistan of lies and deceit. has left policymakers here perplexed. Many say they saw it coming but not this early. Pakistani government and the military had a meeting of the National Security Committee on Tuesday to discuss the strategy to be followed. This was followed by a special Cabinet meeting on Wednesday.The reaction thus far has been one of caution. The reason is that a complete disconnect with the U.S. would place the more financial burden on an already-fragile Pakistani economy. Storm slaps coastal South with most snow in nearly 3 decades, A brutal winter storm smacked the coastal Southeast with a rare blast of snow and ice Wednesday, hitting parts of Florida, Georgia and South Carolina with their heaviest snowfall in nearly three decades. Forecasters warned that the same system could soon strengthen into a “bomb cyclone” as it rolls up the East Coast, bringing hurricane-force winds, coastal flooding and up to a foot of snow. At least 17 deaths were blamed on dangerously cold temperatures that for days have gripped wide swaths of the US from Texas to New England. Palestinian Islamic Jihad warns of Israeli attack on Gaza, Palestinian Islamic Jihad movement said on Wednesday that there are Israeli intentions to escalate aggression against the Gaza Strip. “The threats against the Islamic Jihad, which are being fueled by the Zionist media, are an attempt to justify this aggression,” Xinhua quoted the movement as saying. Israeli media outlets reported on Wednesday that mortar shells fired at Israel from Gaza on Friday appear to be the same Iran-made projectiles used in a November 30 barrage fired by the Islamic Jihad group. According to Israeli army assessments, the recent attacks show that Hamas rulers of Gaza have lost ability to prevent other militants groups from carrying out attacks from the coastal enclave, Israeli media said.